Pine Tree Nursery and Landscaping is proud to have been selected as the Cape Codder Best Garden Center in 2009, 2008 and 2006. 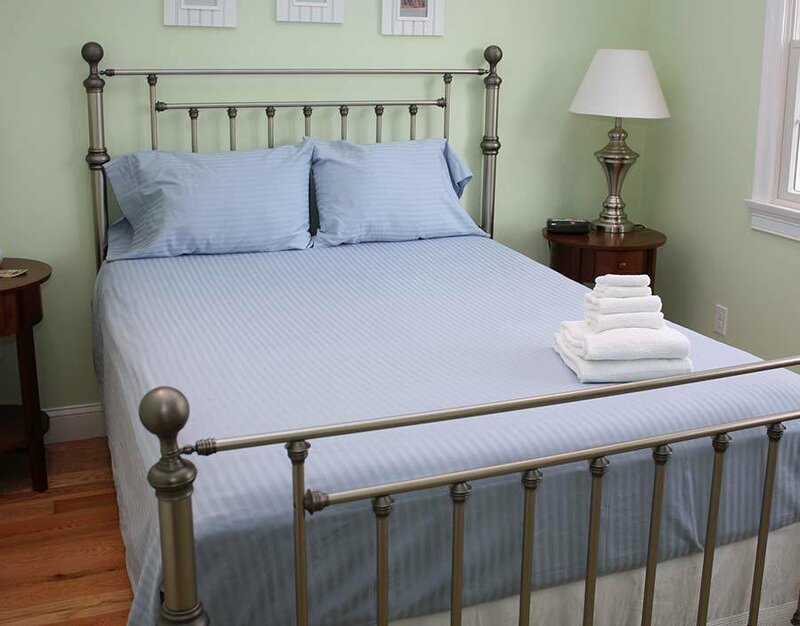 The Chatham Motel provides you with the opportunity to enjoy a Chatham vacation in an atmosphere of beauty and quaintness that you expect from a small fishing village on Cape Cod. Here, away from the busy in-town activity, you are surrounded by colorful gardens and landscaped grounds. 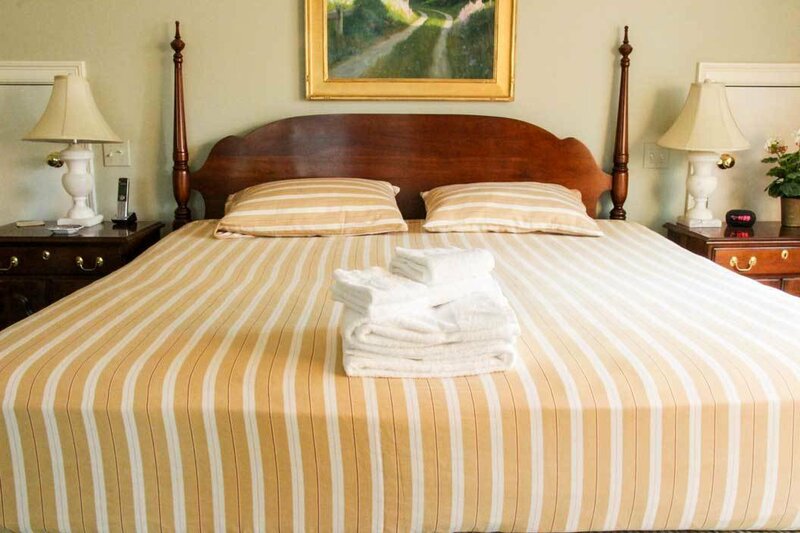 The Chatham Motel offers spacious motel rooms, each attractively decorated for your vacationing comfort. There are two different categories of rooms to suit your needs; standard and deluxe. 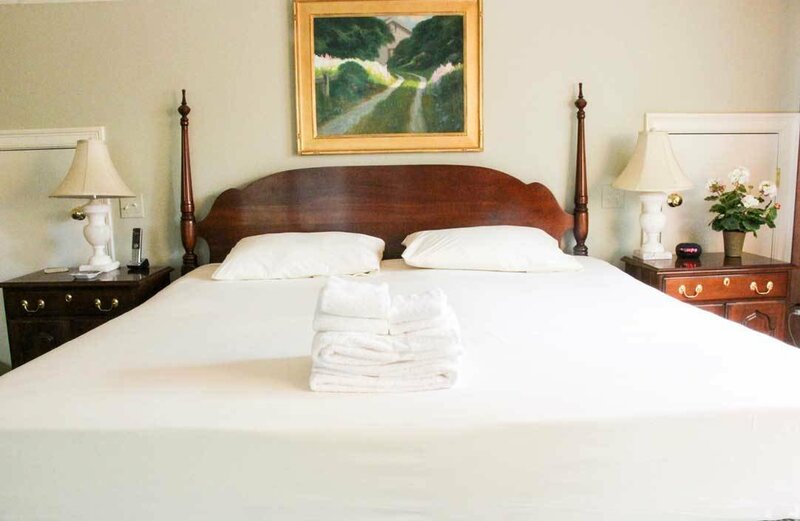 All rooms have either two double beds, one king bed, or two queens beds, refrigerator, coffee maker, air-conditioning, heat, television, and a large private bathroom. All rooms are non-smoking. 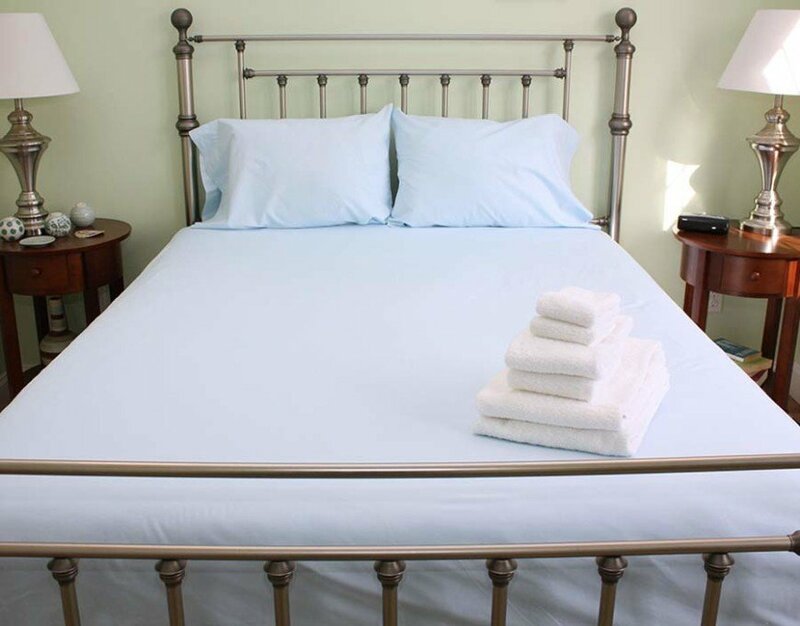 The Chatham Motel has one fully handicapped accessible room with a queen size bed, as well as one complete efficiency unit. Most of the rooms are ground level and have convenient parking. Just minutes away from the The Chatham Motel is Chatham's Harding's Beach. Here you will find a beautiful sandy beach and swim in the waters of Nantucket Sound, where the water temperature averages 72° all summer long. For those guests who prefer fresh water swimming, there is a pool on the grounds of The Chatham Motel. Located in the adjacent pine grove are lawn chairs for relaxation, playground for children, and picnic area for your enjoyment. 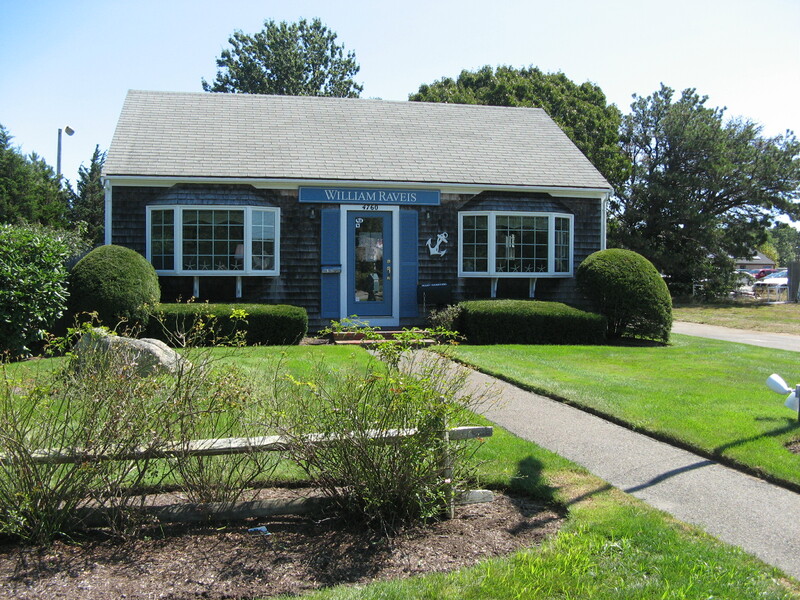 Chatham has many fine restaurants, some within walking distance of The Chatham Motel, and each serves the fresh seafood caught daily by the Chatham fishing fleet. Stroll through the pine grove, enjoy the fresh air, and relax on acres of well-maintained and landscaped grounds. Sunbathe on the private beach which offers plenty of sand for children's play and safe, clean water for swimmers of all ages, as well as picnic tables and barbecues for outdoor cooking. Imagine the pleasure of rowing and fishing in one of our rowboats or enjoying a sunfish, windsurfer or kayak rented in town. 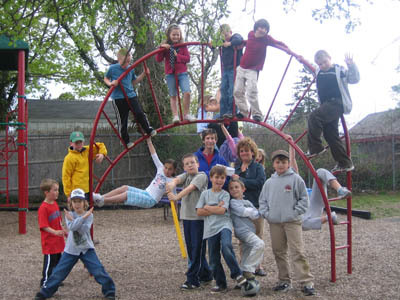 There are two playground areas at Pilgrim Village - one for lawn games and shuffleboard and the other with swings, slide and sandbox - ideal locations for meeting and playing with new friends. For those who like the saltwater beaches, Harding's Beach is 1½ miles away and provides excellent swimming, with water temperatures that average 72° during the summer months. Within walking distance of restaurants and shops including a fish market that features the fresh catch of the Chatham fishing fleet, and which will cook lobster and have them ready for your picnic or meal in your cottage. Welcome to Chatham Home Rentals. 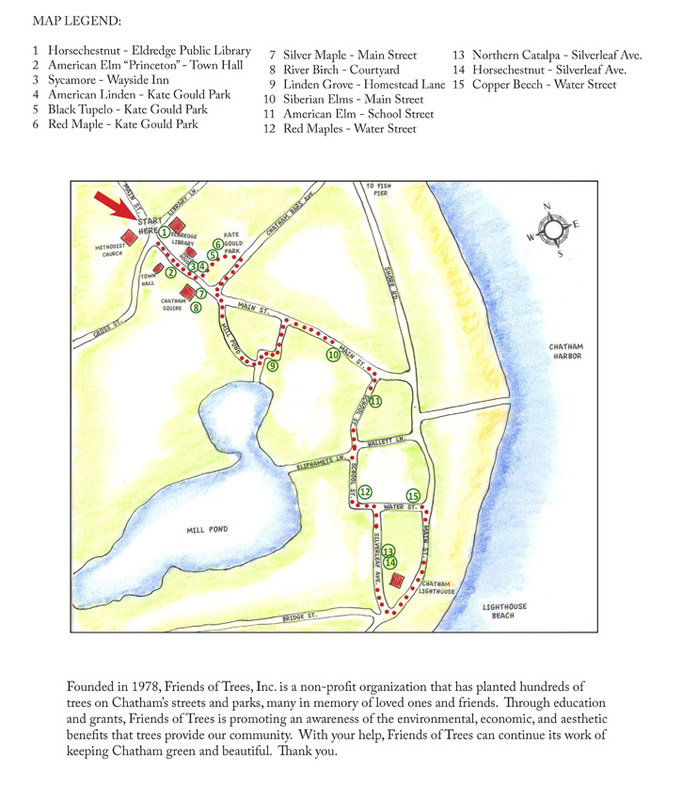 These listings are part of the properties of Pilgrim Village and Pine Shore Cottages ... all located on Cape Cod in Chatham, Massachusetts. Each home is maintained as part of one of the three properties mentioned above and enjoys the facilities of that complex. These homes are larger and more comfortable for the traveling family. All of these houses are rented as single family facilities. Additional families residing together in the same house during a rental period is not permitted. Occasional day trips by friends and extended family members are not objectionable. Houses are rented by the week, which starts and ends Saturday. Cottage 7: 3 bedroom house Single level large ranch style home. One king size bedroom with private bath, 2 twin bedded rooms share bath with tub and shower, living room, kitchen, dining room, family room with sliders to deck overlooking White Pond and private beach. Laundry room, dishwasher, microwave, TV and VCR, carpeted throughout, heated. Outdoor grill and outdoor shower. 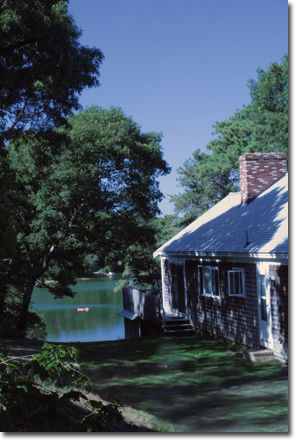 Pine Shore Cottages has its own private beach on White Pond, a 40 acre fresh water lake. 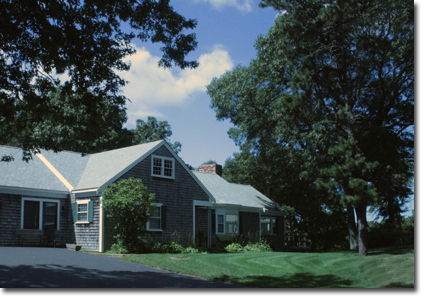 All cottages rented by Pine Shore Cottages are entitled to the use of the facilities of Pine Shore Cottages and Pilgrim Village, the adjacent property. The Harwich Mariners are now accepting applications for the 2019 season for interns. Our internships are unpaid, but will give you valuable experience in working behind the scenes for our team. The First Night Committee entered the Chatham Fourth of July Parade with an entry that featured an exact replica of the Chatham Lighthouse, celebrating its 200th anniversary this year. The lighthouse, built by vice chairman Richard Clifford, featured a working light and reproduced the concept that First Night starts at the Light, when Chatham residents show up at Noon on New Year's eve to have the Town Photo taken at the Chatham Light. This year's theme is Celebrate the Forties! This information is provided to ensure you understand the obligations of renting a vacation property from The Rental Company at William Raveis. It's our desire you and your guests have a safe, enjoyable, and hassle-free experience. Thank you for your business and we look forward to hopefully seeing you soon! 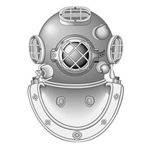 The Saturday to Saturday One Week "Quick Search" lets you view all Cape Cod homes available for the week you specify within a budget range. This is an alphabetized list by town and then street number. A more detailed search can be conducted under Comprehensive Rental Search. There are 5 steps, and, in this search, you have some options in terms of just viewing properties with specific features-----like pet-friendly, Air-Conditioning, waterfront, etc. Once you find a home or two that suits your needs, call to speak with an Agent. Our Rental Agents work as a team, so anyone can help you. Each agent is licensed to practice real estate in Massachusetts and will explain the property details to make sure it is the right house for you. Please note you cannot reserve a property online. ACCOMMODATIONS: The properties we represent are private residences---decorated and furnished by individual owners---therefore each property is unique. Please ask as many questions about the specifics of a property as necessary, and view the photos that we have posted on the website. 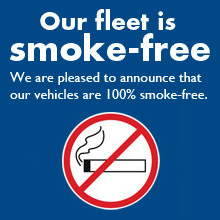 Our policy is NO SMOKING and NO PETS, unless otherwise specified in the property listing details. After making your reservation, we prepare and send you two copies of a lease. Please sign and initial all designated areas and return both copies of that lease, along with your payment. We also have the capability to email this to you. If you would rather receive your lease via email, just let your Rental Agent know. Your lease will include Vacation Rental Insurance. You will need to OPT IN on the lease if you want this product. If you OPT IN for this, please include the listed Insurance amount on your lease with your first payment. You do have the ability to OPT IN for Vacation Rental Insurance up until the date your 2nd payment is due. See below under Vacation Rental Insurance for more details on this program. Please note, if your rental is less than one month from the date we create the lease your entire payment is due in 10 days and there is no second payment. Personal checks, bank checks, and money orders are accepted. Credit cards are accepted in many homes. Check with a Rental Agent and the website to confirm which homes will accept Visa, Mastercard, and Discover. We will be in touch as your stay on Cape Cod approaches. 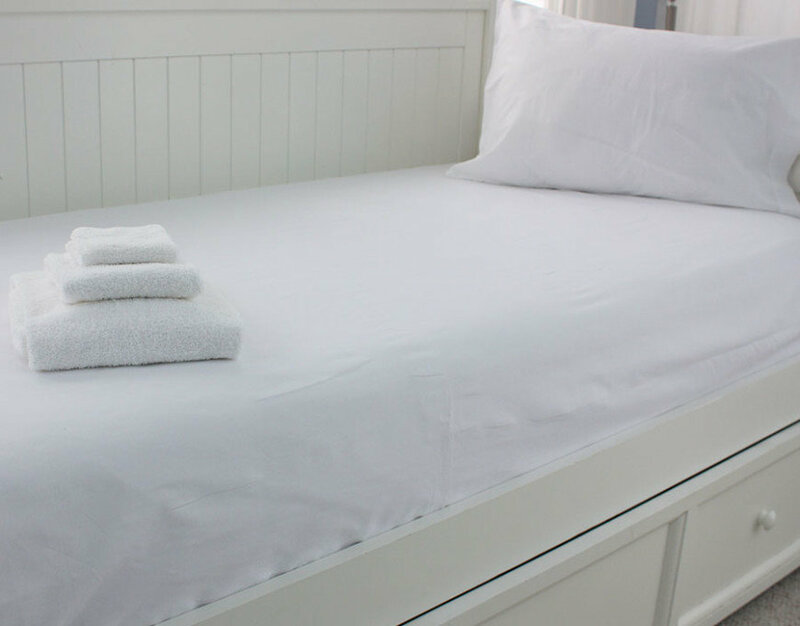 You can expect us to provide you with check-in details, linen rentals, directions, and partner information to make your vacation as enjoyable as possible. You are welcome to also check out our Vacation Activities section where we have links to some of our favorite activities and partners. NONREFUNDABLE SECURITY DAMAGE PROTECTION (SDP): The Rental Company at William Raveis generally requires the purchasing of a SDP for $55, administered by CSA Travel Protection®, in lieu of paying a refundable Security Deposit when reserving a home. The SDP provides up to $3,000 to pay for losses due to theft or accidental damage to the property you are renting. Originally called "piece of mind" protection, you can enjoy your stay and receive more damage protection at a significantly less upfront cost than the Refundable Security Deposit. The SDP is valid for the entire stay and a Certificate of Insurance/Policy with exclusions, conditions, and limitations that may apply will be sent to you with your lease. loss, theft or damage caused by any person other than the Insured unless substantiated by a police report. Notice of Cancellation must be in writing and reported to us. Monies received will be refunded only if the premises are rebooked by owner/broker for the same reservation period and same rental amount, less 20% of the total rental fee due to broker. NO MONIES will be refunded if the property cannot be rebooked. THERE ARE NO REFUNDS FOR CANCELLATIONS THAT ARE LESS THAN 30 DAYS prior to arrival and NO REFUNDS if there is payment outstanding. You are responsible for the entire contracted amount of the rental. For Trip Cancellation with CSA Travel Protection Insurance please contact CSA Travel Protection directly at 1-866-999-4018. Information posted for each listing is supplied by the homeowner and as such is deemed reliable but not guaranteed; details and rates are subject to change at any time and The Rental Company at William Raveis can not be held responsible for any deviation in the listing information. 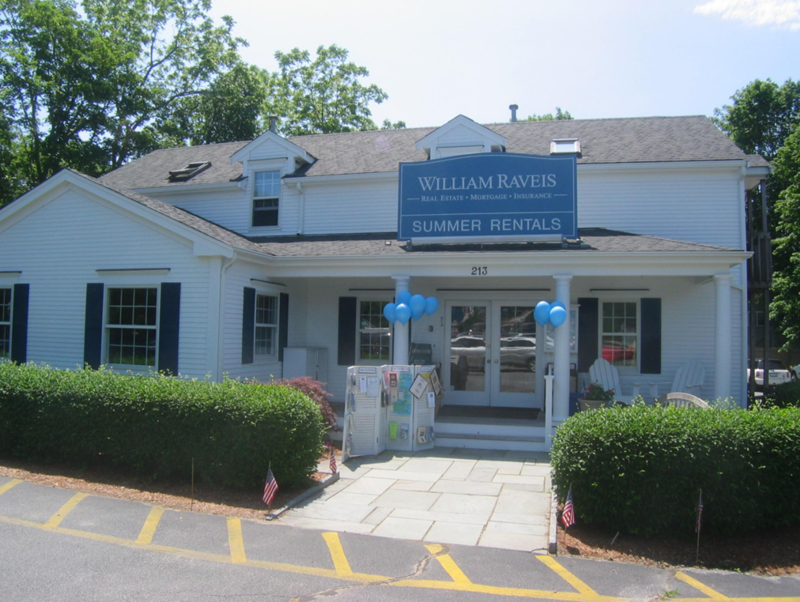 There will be no refunds or adjustments for malfunctioning appliances or equipment; The Rental Company at William Raveis will make every effort to have appliances/equipment repaired as soon as possible. Check-In is between 3:00 p.m. and 5:00 p.m. If you will be arriving later than 5:00 pm please call us to make special arrangements to pick up your keys and rental information; if for any reason you are not paid in full and you arrive after hours, the keys will not be left out for you. Please bring photo ID to check-in; refer to the instructions sent with your leases for the appropriate office for check-in. Please note, when you arrive at your rental property we request you inspect it. If you find a problem please call us immediately. Cleaning problems must be reported within 24 hours of check-in for us to provide assistance. Please note: The Rental Company at William Raveis is not responsible for lost, stolen or forgotten items. In some cases we do ask you pay for the shipping costs to return your items. CSA Vacation Rental Insurance protects your vacation dollars from loss due to hurricane, illness, injury, or other circumstances outside of your control. WHY VACATION RENTAL INSURANCE: Even the best-planned travel can be impacted by the unexpected. Illness...medical emergencies...severe weather...delayed flights and lost passports or luggage. Troubles can occur when you least anticipate them forcing you to cancel or interrupt your trip, lose your vacation investment, and incur unplanned expenses. And when you're away from home, things like medical emergencies and illness are even more difficult to manage. Contact CSA: If you have any questions or comments about our plans, the Customer Service staff will be happy to assist you with questions about buying a vacation insurance policy or your existing CSA policy. Customer Service: 1-866-999-4018 or visit csatravelprotection.com. A detailed description of benefits and coverage is available and we recommend you contact CSA with specific coverage questions. What follows is a brief description of some of the travel benefits provided to you and your eligible traveling companions under this program. Trip Cancellation/Interruption: Provides reimbursement for unused, nonrefundable payments if your trip must be canceled or interrupted. Trip interruption also provides reimbursement for additional transportation costs. Covered reasons include: mandatory hurricane evacuations; sickness, injury or death; extension of school year; armed service leave revocation; involuntary termination of employment or other specific reasons listed in the Policy/Certificate of Insurance. Travel Delay: Provides reimbursement for reasonable expenses incurred such as accommodations, meals and local transportation if you are delayed 12 hours or more during your trip due to a covered reason. Baggage Delay: Provides reimbursement for the emergency purchase of necessary items if baggage is delayed for more then 24 hours. Baggage and Personal Effects: Provides coverage for loss, theft or damage to your baggage and personal effects during your covered trip. Travel Accident: Provides coverage for loss of limb or life in the event of an accident while traveling, or within 180 days of that event. Emergency Medical Transportation: If you become sick or injured on a trip, benefits are provided such as: arrange transportation to the nearest suitable medical facility; help you return home, if medically necessary; provide round-trip economy air fare for a companion to visit you in you are hospitalized for more than 7 days. Medical or Dental Expense: Provides coverage for necessary medical, surgical and emergency dental care costs if you become sick or accidentally injured whole on your covered trip. 24-hour Emergency Assistance Services: Customer Service Associates are always available to assist with Nurse Hotline Services, Medial and Legal Referral, Replacement of Medication and Eyeglasses, Emergency Message Relay, and Pet Return. Concierge Services: Provides assistance with arranging golf tee times, sporting, amusement part and entertainment ticketing, fine dining reservations and specific events. Roadside Assistance: Provides Towing Service, Battery Jump, Locksmith Services, Flat-tire Change, Fuel Delivery, and Vehicle Return. 10-Day Satisfaction Guarantee: CSA Travel Protection proudly stands behind its products and services. That's why we offer a 10-day free look on all our travel insurance plans. You'll have the ability to cancel your coverage and receive a full refund if you aren't completely satisfied as long as you haven't left for your trip. About CSA: CSA is owned by Europ Assistance (EA), a worldwide emergency assistance services company. Europ Assistance began helping travelers with emergencies in 1963 and has expanded in capabilities and services ever since. Professionally organized, thoroughly equipped with countless resources, Europ Assistance is dedicated to helping people in both exceptional and everyday situations, anytime, anywhere. Thank you for doing such an amazing job on the flowers for our wedding! They were absolutely perfect! I loved everything about them! We received many compliments on how pretty everything looked and it was all thanks to you! We strive to make the best Burritos, Panini, Sandwiches, Soups, Cookies and Whoopie Pies on the , while having lots of FUN. 6:30 am to 8:30 pm in Orleans (local beer + wine in Orleans)! Oh yeah, we are definitely Fresh, Fast, & Fun. Choose White, Whole Wheat or Unwrapped. Monterey Jack Cheese Perfect for all Burritos. Classic Flavor and Superior Texture. We have lot’s of options for our Veggie & Vegan friends. Gotta Have It. Why? ‘cause it’s delicious! The Classic Pinto Bean, The Hearty Black Bean or The Mushy yet Tasty Refried Bean. • Spice it up with your choice of Hot Sauce.....We've got LOTS! These additions cost a little more; but sometimes you just need a 'GUAC-fix'. Try Any Sandwich Grilled. It Just Tastes Better! ...Thanks Frank! The Freshest Produce (of course)...served on Pain D'Avignon Breads. Cheddar Cheese, Caramelized Onions with Horseradish Cream Sauce on a Ciabatta. Cheddar, Green Apple and Honey Mustard on 7-Grain. Monterey Jack, Guacamole, Marinated Tomatoes, and Romaine Lettuce on 7-Grain. Feta Cheese, Hummus, Baby Spinach, Marinated Tomatoes, Calamata Olives on 7-Grain. Vermont Cheddar, Bacon, Sun-Dried Tomato Aioli and Baby Spinach on Marble Rye. Provolone, Red Onion, Basil Pesto Aioli, on Country White. Tomatoes, Fresh Basil, Olive Oil and Balsamic Vinegar on Country White. Salami, Mortadella Pepperoni, Provolone, Roasted Red Peppers, Hot Pepper Relish, Oregano, Olive Oil on a Ciabatta. Breakfast Burritos (until 11am), Coffee all day long! We open Daily at 6:30-am... wow that’s early! Breakfast Burritos... Get ready to start your day! Oh wait...Did I already mention Beanstock Coffee? ...hmmm I better have another cup. We really do have a TON of delicious options! Offering Pick-up and Drop-off at Chatham Municipal Airport by reservation. A pilot owned company 1 mile (DME) from airport. Click to visit the Chatham Airport website! A full-service jewelry store with a full-time gold and platinum jeweler with over 35 years of experience on premises. Professional appraisal services, repair, custom design and fabrication abilities, as well as a qualified and knowledgeable sales staff. To use this mortgage calculator, input the property price, the down payment , number of years of the mortgage, and the annual mortgage interest rate then press "Calculate." In 1978 our two founders, Alice Hiscock and Larry Munson, began seeking interest and donations from town residents to fund the planting of trees. In 1981 Friends of Trees planted 13 trees on Main Street, Crowell Road and Routed 28. Since then we have planted hundreds of trees on streets, in parks, and throughout town. Trees are part of Chatham’s history. When Samuel de Champlain entered Chatham Harbor in 1606 he found the countryside covered with walnut trees, oaks and cedars. Some 50 years later, William Nickerson reported hillsides covered with great oak forests and swamps filled with gigantic cedars. As populations grew, industry of many sorts followed and exacted a heavy toll on the Cape’s forests—clearing for farming and grazing, then ship building, then fires for salt works and foundries all required massive amounts of wood. 200 years after Champlain marveled at the forests, much of the Cape lay barren of woodlands. Edward Hitchcock, a Massachusetts geologist, wrote in 1847 that while on a trip to the Lower Cape he felt that he was in the depths of the Arabian desert—a bare, treeless landscape. In 1900 there wasn’t a tree in sight throughout town. As town’s people realized their loss, they planted many trees over the next 20 years; many of which were elms. 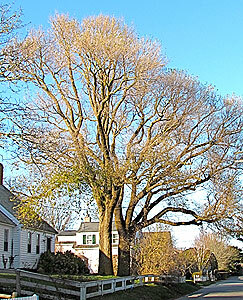 Fifty years later, Dutch elm disease devastated the elm population in Chatham, as it did across the northeast. Once again, downtown was vacant of trees. This was the nexus for the founding of Friends of Trees. Ever since then we have been planting trees with the support of many generous people who appreciate the beauty trees add to Chatham, already an extraordinarily beautiful jewel on Cape Cod. Many trees are planted in honor or in memory of a friend or loved one with a corner stone and plaque acknowledging the gift. Friends of Trees, with the help of the Chatham Park and Recreation Department, endeavors to keep our tree inventory, a town asset, strong and healthy. And to keep Chatham a green and beautiful place. Friends of Trees is a 501c-3 governed by a Board of Director’s and supported fully by donations. 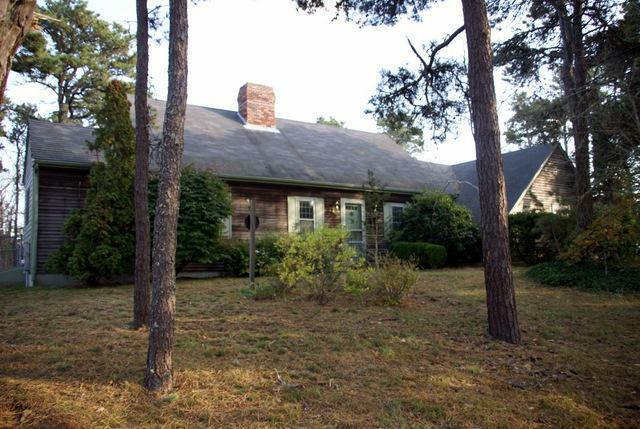 Given the practice of clear cutting by the town’s early settlers, as well as the pace of real estate development in more recent times, Chatham is fortunate to have a treasure trove of older, stately trees. 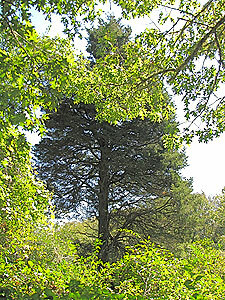 Many of these elegant specimens are simply survivors of earlier times, while others were planted by former town residents to provide windbreaks and beautify their property. Today, our coastal landscape is dotted with oaks, maples, beech, lindens, pine and many other species of trees. Chatham’s trees have become one of the town’s vital assets. Not only do they provide protection from the wind, but they also help purify our air and water, reduce surface runoff and impede erosion of soil. Trees supply a welcome habitat and source of food for birds and other wildlife. For the town’s homeowners, trees enhance property values and raise the community’s tax base. 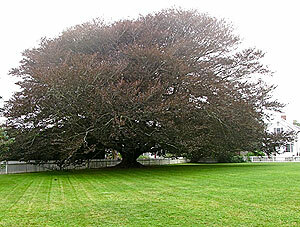 The visual appeal of trees attracts people to the town and makes Chatham a favorite tourist stop. For all their scenic, environmental, and economic benefits, however, our trees remain vulnerable to development and natural causes of distress. 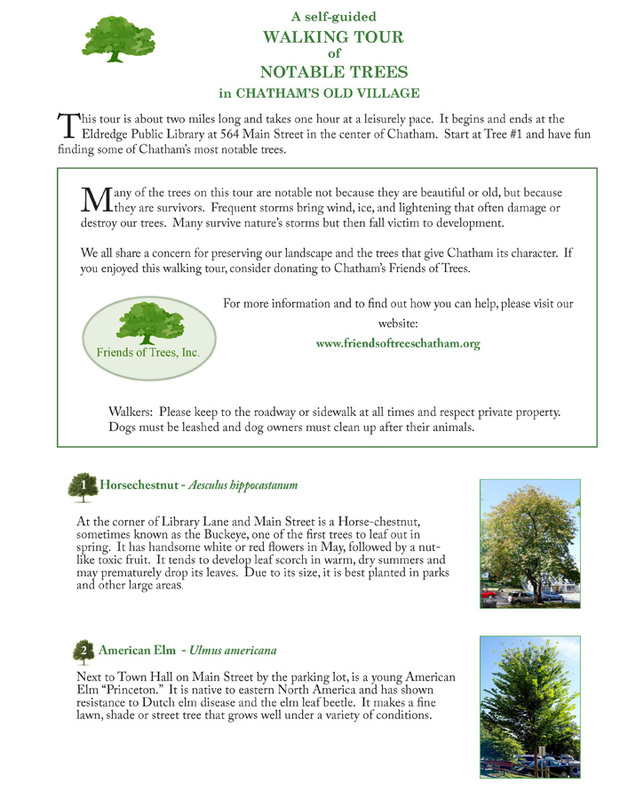 Chatham’s Friends of Trees works with concerned citizens and the department of Parks and Recreation to plant new trees and preserve our current inventory of established trees. It is also our goal to educate people to the many benefits trees provide. Tree conservation is important for all of us because a town that nurtures its trees is a healthier place to live and work. Friends of Trees is a non-profit organization dedicated to improving the physical aspects of Chatham by planting and maintaining trees and through grants to local non-profits that share our mission. Friends of Trees also endeavors to educate the public to the important role trees play in Chatham's environment. Imagine a place barren of trees. A desert. A wasteland. To imagine Chatham without trees you need only go back to photos of 100 years ago, a mere lifetime. Many of the trees in Chatham’s parks, streetscapes, and neighborhoods today were planted decades ago by caring citizens who understood their value and who cared to leave something for the future generations to enjoy. A tree is a living legacy. There is a story told by John F. Kennedy, about the great French Marshall Lyautey, who once asked his gardener to plant a tree. 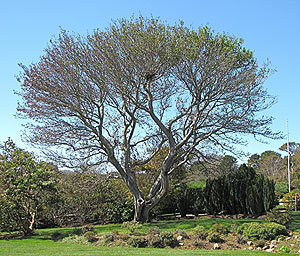 The gardener objected that the tree was slow growing and would not reach maturity for 100 years. The Marshall replied, “In that case, there is no time to lose; plant it this afternoon!" Since our inception in 1978, Friends of Trees has planted trees in memory of our citizens’ loved ones. We have planted hundreds of memorial trees in Chatham’s parks and public places. If you are interested in working with us to plant a tree in someone’s memory, we’d love to talk with you. We’ll talk with you and the Town about an appropriate location, we’ll help select the right species of tree, and we’ll plant it and install an embossed bronze plaque recognizing your loved one. Your donation of $500 we’ll also help us to maintain the tree for years to come. Click here to send us an email with your phone number and we’ll contact you. "It is no exaggerated praise to call a Tree the grandest, and most beautiful of all productions on earth!" For more than 30 years Friends of Trees has planted trees all over Chatham and has helped care for town's trees and green spaces. Your generous donation will help us care for our trees, promote stewardship, and replace trees that have succumbed to Chatham's harsh weather conditions, the pressures of property development, and natural diseases and insects. The need to replace what is lost will not stop. Friends of Trees endeavors to keep our tree inventory, a town asset, strong and healthy. And to keep Chatham a green and beautiful place. You may make a donation online via PayPal or use our mailing address below. If you are interested in a Memorial Tree for a friend or loved one, please see our Plant a Memorial Tree page to learn how. Friends of Trees, Inc. is a 501c-3 governed by a Board of Director’s and supported fully by donations. 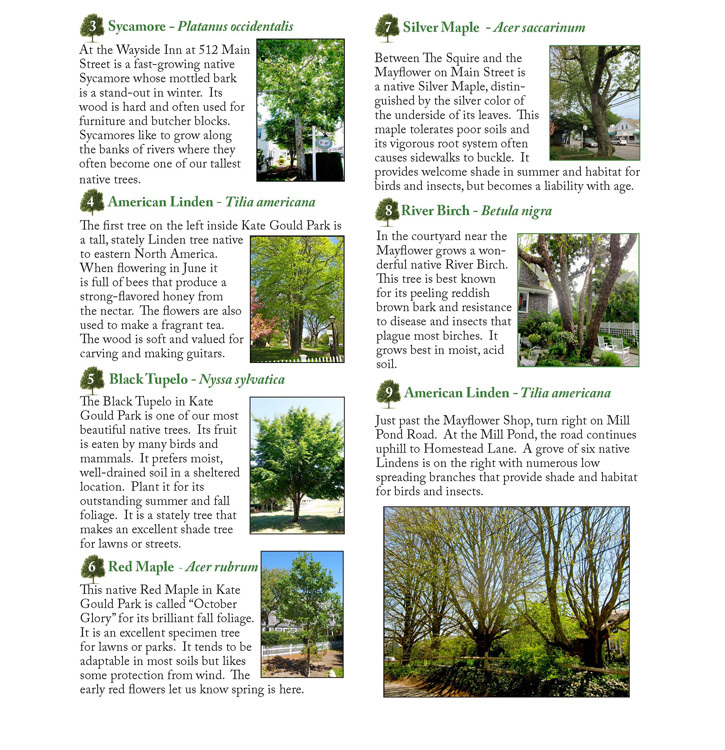 In 2011 Friends of Trees, Inc. launched its Tree Inventory Project to catalog trees the Friends have planted throughout Chatham since the organization was founded in1978. Most of these trees were planted in public spaces in memory of loved ones. The goal of the GPS project is to develop a database of information about the trees in our care. Not only will the GPS/Tree Inventory project help us identify dying or diseased trees, it will also alert us to new planting sites and help with species distribution. Because trees are town assets, this project will establish a value for our trees at a given point in time. The inventory is conducted in the field by an arborist or volunteers using a hand-held GPS device, a laptop computer, and a digital camera. The GPS device identifies the global coordinates of latitude and longitude showing the tree’s exact location. 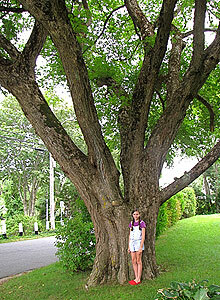 The tree’s size, health, condition, and maintenance required are noted in a digital database. A digital photograph is attached to each file. The data collected in the field then becomes part of Chatham’s Geographical Information System (GIS) so that tree data can be overlaid on the town map and becomes accessible to all residents on the town website. The GPS Project is a useful tool that Friends of Trees uses to keep track of tree locations and the maintenance requirements for each tree. More than 200 memorial trees planted since 1995 have been cataloged on the mapping application and are available on the town website. We will continue to add trees to the map throughout the year, and we have plans to include the tree maps on the town overlay. The Friends of Trees map overlay on the town website is currenlty undergoing revisions. The link will again be available in the near future. Many of the trees in Chatham’s parks, streetscapes, and neighborhoods today were planted decades ago by caring citizens who understood their value and who cared to leave something for the future generations to enjoy. A tree is a living legacy. 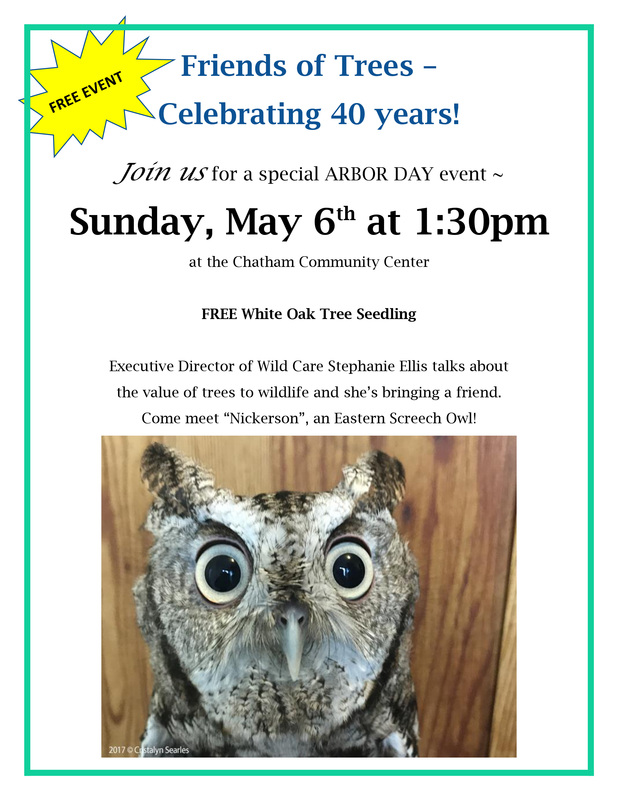 Each year we celebrate Arbor Day in Chatham. The goal of the GPS project is to develop a database of information about the trees in our care. The data collected in the field then becomes part of Chatham’s Geographical Information System (GIS) so that tree data can be overlaid on the town map and becomes accessible to all residents on the town website. The Chatham Board of Selectmen proclaimed Chatham's Arbor Day as April 24, 2015. Friends of Trees gifted a shade tree to the town that will be planted in Kate Gould Park to replace one of several trees that have succumbed to storms or age. We also announced our first Grant Program. The purpose is to support teachers and non-profit organizations interested in undertaking educational efforts related to the science and value of trees and other project consistent with Friends of Trees’ mission. The Chatham Board of Selectmen proclaimed Chatham's Arbor Day as April 12, 2014. Friends of Trees sponsored a free lecture by Plantsman Tim Boland, Executive Director of the Polly Hill Arboretum. His topic was entitled "Trees are the Answer" which addressed the challenges and opportunities that exist within the magnificent green world of trees. Attendees received a white oak seedling ready for planting. The Chatham Board of Selectmen proclaimed Chatham's Arbor Day as April 27, 2013. Friends of Trees gifted a large red maple tree to the town in commemoration of Chatham’s Tercentennial. The red maple (Acer rubrum ‘October Glory’), planted in Kate Gould Park, is a beautiful shade tree with glistening dark green leaves in spring and summer, turning radiant red in late fall. We also organized a clean-up of the park to remove trash, debris and invasive plants from an over-grown area behind the Band Stand. We continue to work with the town to keep the park, a jewell in downtown, well vegetated and looking beautiful. The Chatham Board of Selectmen proclaimed Chatham's first Arbor Day as April 27, 2012. The Arbor Day program focused on Chatham's Elementary and Middle School students. A week of activities took place, beginning with a reading of Dr. Seuss' book "The Lorax", to the student body. Over the following days students paraticipated in educational and fun activities focused on tree basics and the importance of trees to our lives and our environment. Each student was given a bare root small native Eastern Red Cedar or Northern Red Oak. 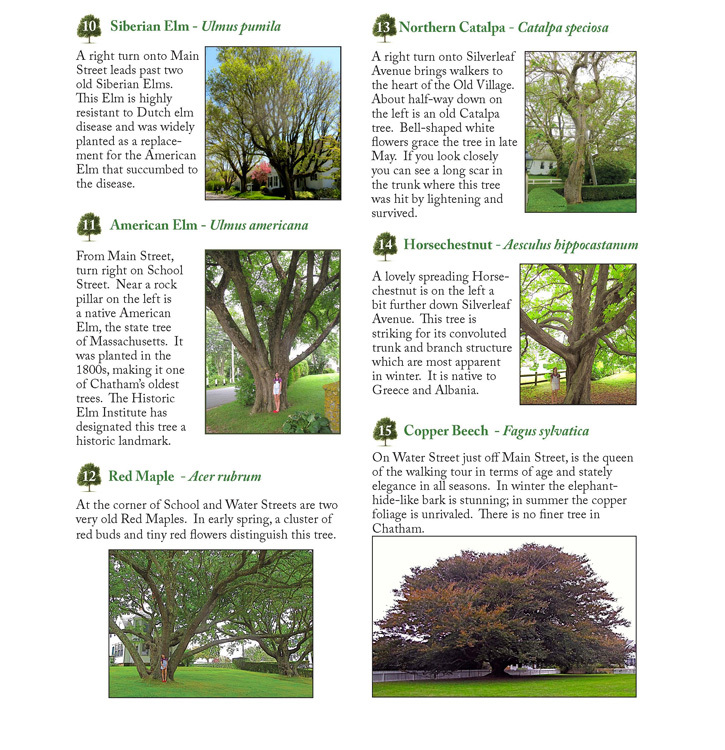 Friends of Trees has published a self-guided walking tour of Notable Trees in Chatham's Old Village. The tour is about 2 miles long and takes about one hour at a leisurely pace. It takes the walker along tree-lined streets through the historic old village, beginning and ending in Kate Gould Park on Main Street. 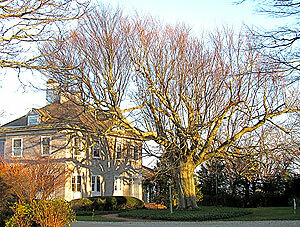 Not so long ago there were very few trees in Chatham or on the Cape as a whole. Now, due to the foresightedness and stewardship of our citizens, there are a number of beautiful, old trees an Chatham, many in the Old Village. A brochure is available at various locations around town, including the Community Center, Chamber of Commerce, Town Hall, inns, and the Eldredge Public Library. Download it here.. Calm, warm ocean water and tidal pools set on the beautiful Pleasant Bay make this a relaxing family beach, perfect for small children or adults who are wanting to relax for the day without all the crowds. Bring your own kayak and enjoy a nice paddle! Another favorite Nantucket Sound Beach with calm waters, and tidal pools for small children. This large, family favorite beach also offers a snack bar and Nauti Jane's Boat Rental company! Why not try sailing with your kids on our beautiful Cape Cod waters for a day? Cockle Cove is just one of Chatham's favorite family beaches. Great for swimming, windsurfing and other fun water sports. The calm waves, warm Nantucket Sound water and long stretches of soft sand make for a fun beach day. A small family beach where rafts and floaties are allowed. No snack bar, but the local ice-cream truck does make frequent stops which will surely delight the kids. This beach is wonderful for family outings, especially if you would like to escape from the village crowds. A quiet, residential beach perfect for a picnic beach lunch or bring a chair and a good book to read. A great little beach to play with the kids, or take a stroll by yourself enjoying the view and the fresh salt air. Hardings Beach is one the most popular family beaches in Chatham with lots of space to play Frisbee, Wiffleball, and Volleyball with the kids. Sports not your thing? Enjoy strolling on the sandy nature trail next to the beach all the way out to the tip of Stage Harbor to view one of our famous lighthouses. Privately owned, but a great landmark to see! Did you bring your kayaks and canoes on your Cape Cod vacation? White Pond is the perfect freshwater pond to enjoy a relaxing paddle. No boat? Enjoy swimming in the warm waters on its sandy shores for the day. This small beach and saltwater pond is actually one of the inlets to Stage Harbor. Located within walking distance to our quaint village makes it a convenient beach stop for a sunny lunch or family day. It can boast being the only beach in Chatham with a fun raft the kids can swim out to! JUST LISTED-Completely restored (to absolute perfection), this four bedroom 2 bath show-house on Pasture Lane includes gleaming wooden floors throughout, fireplace in the living room, and a finished lower level with chef's kitchen boasting granite countertops and stainless steel appliances. The home is priced for immediate sale EXCLUSIVELY by Chatham Real Estate at $764,000. Call for details 508-945-0000. If you are seeking access to Nantucket Sound boating and a contemporary home with the perfect sun filled open floor plan and many updates including a dream kitchen then you belong here!There are 3 bedrooms, 2 baths, a large open living room with fireplace and sliders to an extra large fenced deck patio.Listed at $469,000. Rare opportunity. 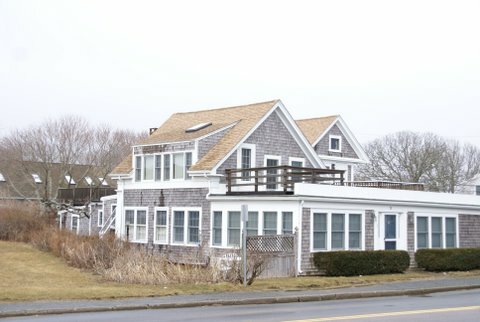 OCEAN view condo next to Chatham Lighthouse located at Hammond House in the old village with a wonderful in-town location. One bedroom, one bath unit with open living room/kitchen area consisting of approx. 399 sq. ft. Walk across the street to the fabulous Lighthouse Beach and walk to the village for shopping. Listed for $299,000. SOLD- 90 Whidah Road-Cannon Hill in North Chatham.Three bedroom, 2 bath Cape style home on an acre of land with deeded access to the association beach on Pleasant Beach just a short walk away. This home was built in 1979 and is in need of some updating but it has loads of potential. First floor master and two bedrooms up on the second floor. Exquisite new redesigned and renovation with a centerpiece sky-lit vaulted open interior & abundant french doors to several balconies from which to enjoy panoramic views of swans drift on the sparkling water estuary leading to Pleasant Bay. Very private and peaceful location.Plans completed with conservation approval to complete the project with a third bedroom, expanded garage and elaborate exterior deck screened gazebo with fireplace pavilion. Listed at $499,950. 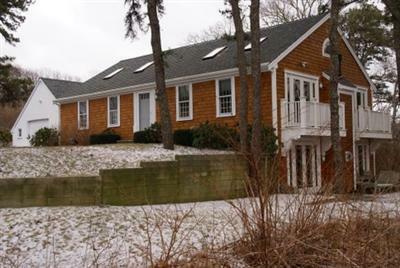 North Chatham Oceanview 5 bedroom, 5 bath renovated home in fabulous condition. Located on Hillcrest Road with great yard area both front and back for family activities which includes a beautiful marble patio. This spacious home has wonderful detail work throughout and has a chefs kitchen that is perfect for entertaining large number of guests. The master bedroom on the second level has its own private deck with commanding views out over North Beach and beyond the Atlantic in the distance. Listed for $1,999,000. Totally private 1.5 acre building lot in North Chatham has the abiltity to support a 6 bedroom home or a 4 bedroom main house with a separate 2 bedroom guest house! House plans are available for review and the plans include a swimming pool layout if desired. This lot is at the end of the cul-de-sac and the street has beautiful new homes all built and designed in the past couple of years. Buy this lot and build right away or hold for a future build. Great investment piece at $595,000. 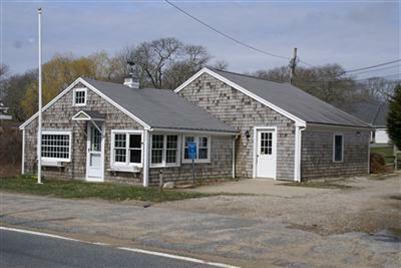 The Perfect Beach cottage - 3 bedrooms and 1 bath just 1/2 mile to Hardings Beach. Nice long paved driveway entrance keeps this nicely elevated home set well back from the road. Very charming with loads of character. Being sold furnished. Great rental history at about $1500 per week. Listed for $429,000. Commercial Building on Rt. 28. Very visible from the street, this 1200 square foot building stands on .13 acres and holds enough parking for seven vehicles. Great exposure and can be found opposite the South Chatham Village Market. Listed at $275,000. 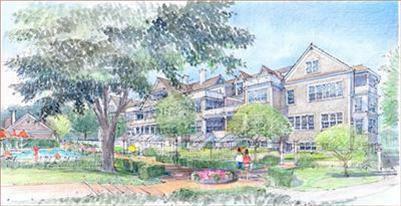 On the grounds of the Queen Anne Inn is the planned design and construction of a new luxury Townhome Community on Oyster Pond. Exclusive 7 condominiums starting at 1.7 Million include membership to the Cape Cod National Golf Course. 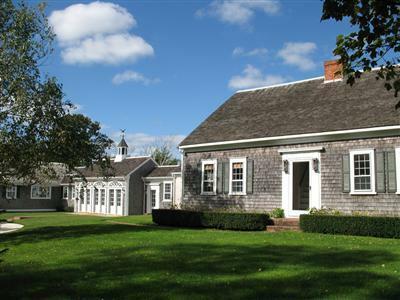 Polhemus, Savery and DeSilva will construct the property that has been designed by architect, Sally Weston. Will include private portico enterances, individual unit elevators, 24/7 security, concierege among many more services. Click here for each listing information! 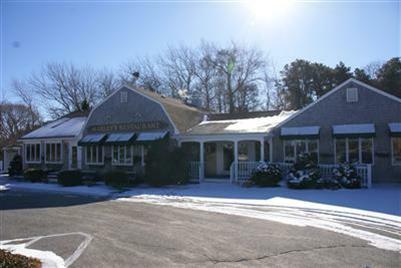 SOLD Marley's Restaurant- A Chatham Landmark Establishment for fine dining and friendly pub atmosphere located on high traffic Rte. 28 with maximum exposure and regular clientele and a year round liquor license. Great opportunity to take over this successful family run business and live the good life in Chatham. The sale will also include lot 12F-2A-2A of .33 acre and lot 12F-3-1 of .35 acre plus the lot 12F-2-2 with the structure on it of .35 acre. The 96 seat restaurant also has an additional 17 bar seats as well as an outside terrace that you could substitute with 24 outside seats in summer. If square footage is important- please measure. The sale includes the real estate, the business and all equipment and furniture to run the business. Listed at $899,500. 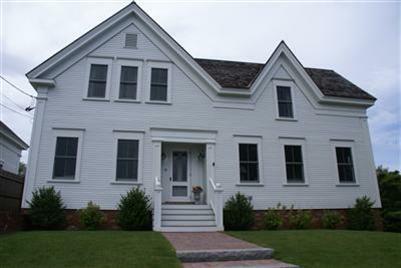 SOLD-Oceanfront property in the Old Village of Chatham stands a renovated estate built originally in 1900. This 4 bedroom, 3 bath home has views from most of the rooms including, of the Atlantic Ocean, Chatham Harbor and North Beach Island. Ideal location walking distance from the center of town and to the beach.83 Holway Street currently listed at $2,595,000. SOLD-Classic North Chatham Estate Property consisting of 7 bedrooms, 4 1/2 on 1.64 acres of exclusive privacy with a private 1.55 acre sandy beach and a heated in-ground swimming pool. This completely renovated antique offers all of the ammenities you could ask for without compromising the architectural integrity and historic feel of the home. Attention to every conceivable ammenity is apparent with wide pine floors, 5 fireplaces, a chefs kitchen, a heated herringbone brick floor in the dining room. Listed for $2,795,000. SOLD-OCEANVIEW in the Old Village and walk to town location. New 3 bedroom 3 bath home literally steps to the sandy beachfront at Andrew Harding Lane. Beautiful wide pine floors, central A/C, gorgeous kitchen with top appliances, irrigation, a fireplace in the living room and lots of high ceilings and great detail work throughout. This home won the 2008 Preservation Award and has been impeccably done. Listed for $1,999,900. Larry Feightner offers an extensive knowledge of Chatham real estate with over a quarter century of professional expertise. Larry moved to Chatham from Chicago where he owned a real estate company and gained a Bachelor of Science degree from the University of Illinois. 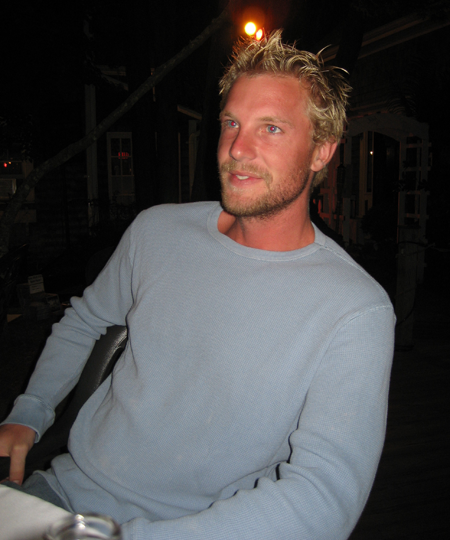 He was a manager for two real estate offices on the Cape until joining Chatham Real Estate. Larry built a home in Chatham and brought up two sons. They both attended Chatham schools before they went on to college. His oldest son is affiliated with Hood, Inc. on Cape Cod and the other is the Head Golf Professional at Ocean Reef Resort in Key Largo, FL. Larry is an Eagle Scout and his Great Grandfather was the Captain of the Nauset Lifesavers. Larry has participated as Director of the Orleans Chamber of Commerce and was previously on the nominating committee for the Chatham Historical Society. Kimberly Howard started her career in real estate in 1984 in Baltimore, Maryland. 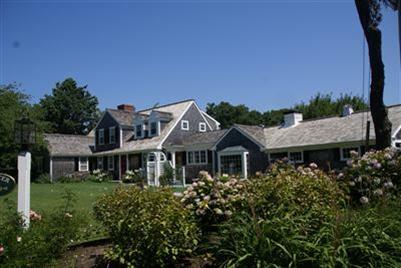 In 1986 she returned to Cape Cod, her summer home since birth and the home of her mothers’ family for over 5 generations. She discovered and fell in love with Chatham, while working summers at The Wayside Inn, during her collegiate years at The University of Michigan. As an honors student she graduated with a BS in Economics and BFA in Dance & Film in 1982.In 1993 she co-founded The Lawn Cotillion, a philanthropic annual event that raised funds for Habitat for Humanity, The Cape Cod Museum of Fine Arts, Cape Cod Hospital, The Cape Cod Music Conservatory, National Multiple Sclerosis Society, The Susan B. Komen Foundation and The Fine Arts Association of Cape Cod and many other superb organizations. She has served as a volunteer in the Chatham Public Schools for over a decade, the Board of Trustees at UUMH and the Chatham Athletic Booster Club. Southeastern Massachusetts, at the "elbow" of Cape Cod. Bordered by Pleasant Bay and Orleans on the north, the Atlantic Ocean on the east, Nantucket Sound on the south, and Harwich on the west. Chatham is 17 miles east of Hyannis, 89 miles southeast of Boston, and 223 miles from New York City. 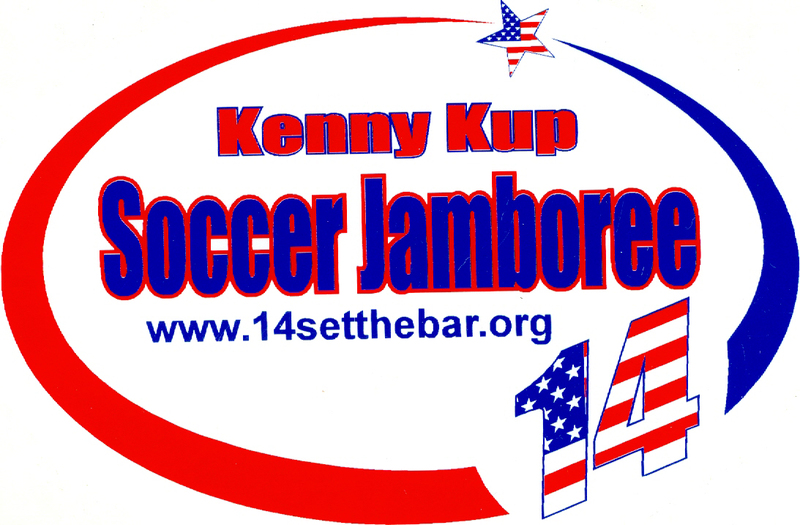 Coed teams are invited to the 2018 Ken Owens Memorial Soccer Jamboree, which will be held in Chatham at Veterans Field. 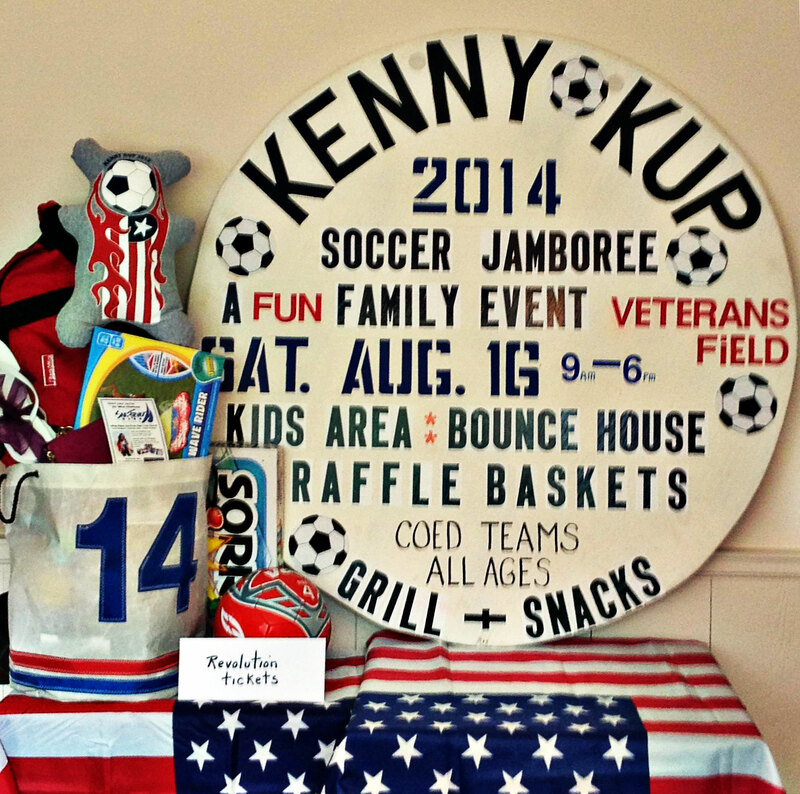 The Soccer Jamboree is in honor of ND2 Kenneth Richard Owens, who was an avid soccer player. Our Jamboree raises money for his local scholarship funds. Please contact us if you are interested in pre-registering a team by email (kosoccerjamboree@gmail.com) and we will send you an application. The Soccer Jamboree will be fun for the whole family! Click here for a printable application form. To secure your booking, half of rent, administration fee and damage waiver are due for all rentals within two weeks of booking. Final payment and cleaning fee are due 60 days prior to arrival. Payment options include cash, personal check, or money order. Pine Acres Realty does not accept personal checks for any payments if your arrival date is within two weeks of your reservation, a Visa/MC can be used in these circumstances. Full payment is required on all reservations made within 30 days from arrival. If arrival date is less than 30 days from booking immediate and full payment is required. Check-in time is 3:00 pm and check-out time is 10:00 am. Please respect our policy; keys must be dropped at our office, sorry there are no exceptions. There is a $25 charge for lost keys or keys not returned by 10:30 a.m. on the day of departure. Check-out time is not flexible and overstaying check-out time will result in additional rent in the amount of $25.00 per half hour. In the event that you are unable to fulfill your Rental Agreement and use the property for the dates of your reservation, Pine Acres Realty must be notified in writing as soon as possible. We will make every attempt to re-rent your property for you; however, we cannot guarantee re-rental. If we are able to successfully re-rent your property for you, you will receive a refund of the full amount of rent paid minus a cancellation fee equal to 15% of total rental amount. If we are unable to re-rent your property for you, any remaining payments are still due and no refunds will be issued. The rental agreement is a legally binding agreement between the Tenant, Pine Acres Realty and the Property Owner. Your reservation and signed Rental Agreement bind you to a specific home for a specific period of time. There should be no expectation of refund because you are disappointed with the property in any way. 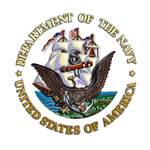 We cannot relocate you without specific authorization from the property owner. There will be no refunds for mechanical failure of nonessential items such as air conditioner, TV, dishwasher, washer/dryer, or other luxury items. Pine Acres Realty will make every attempt to correct any problem that arises during your stay in a timely manner. We make every effort to ensure accurate descriptions of the homes we represent. We cannot, however, be responsible for typographical errors or changes made by owners in furnishings or equipment. If a tenant does not personally inspect the premises prior to signing their lease, they agree to accept the rental property as is, provided it meets the basic standards of habitability under MA law. The tenant will not be entitled to a refund and will have no recourse against the agent or Pine Acres Realty if the property does not meet their expectations. All of our properties have mandatory cleaning by our professional cleaning staff after each check out. The tenant will pay the predetermined cleaning fee, as stated in the lease. Pine Acres Realty also hires "checkers" to inspect every property before and after each tenant. 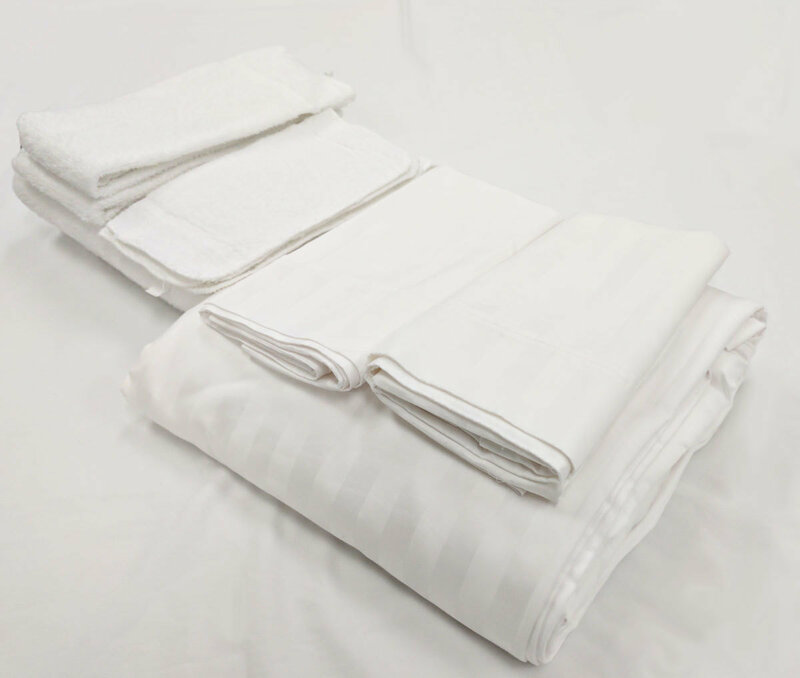 The checker is responsible for inspecting cleanliness and noticeable damage or changes. Tenants are required to report any unintentional damage as soon as possible in order to be covered under Damage Waiver program. Guests are required to submit a non-refundable fee of $50 that relieves guests of the cost for all unintentional and incidental damage to the rental property and its contents, not to exceed $500.00. The Damage Waiver does not cover intentional damage, theft, excessive cleaning or any damage or flea infestation caused by a pet. Pine Acres Realty requires guests to have a MasterCard or Visa card on file and authorize Pine Acres Realty to charge guest's credit card for intentional damage, theft, excessive cleaning after departure, unintentional and incidental damage exceeding the amount of coverage. All of our rental homes are NON-SMOKING; smoking is not permitted. If there is evidence that smoking has occurred inside a non-smoking rental property you will be charged additional cleaning and ionization fee - THIS IS A VERY SERIOUS OFFENSE AND OUR POLICY IS STRICTLY ENFORCED. 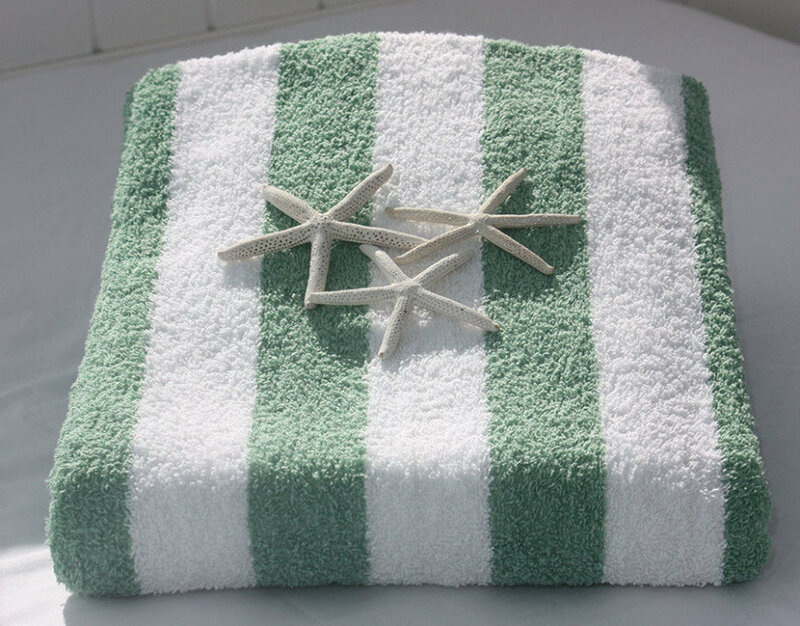 Most of our home rentals do not include linens or towels. Please bring from home or contact Kristen at Chatham Concierge, if you need, or want, to rent them. If a homeowner does permit pets, the tenant is responsible for cleaning the area around the Rental Property of all pet excretions in addition to removing pet hair from inside the Rental Property and its furnishings prior to departure. In the event that additional cleaning, laundering services or material damage are required due to the pet, PINE ACRES REALTY will bill the tenant or the tenant's credit card on file.The Damage Waiver does not cover any damage or flea infestation caused by a pet . Any undeclared pet found in or about a "no pet" home is grounds for immediate eviction and forfeiture of all monies paid, and will result in a monetary penalty of no less than $250. We are currently hard at work booking our homes for the 2019 rental season! Dockage available for the 2015 season, call or contact us for details! Friends of Trees has been involved in many projects over the recent years. Here are some of our recent achievements. In 2013 Chatham became the 77th Massachusetts community to be designated a Tree City. 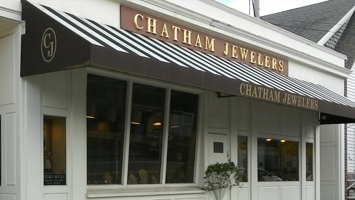 And we are pleased that Chatham has received approval for the designation again for 2014, 2015, and 2016. To qualify as a Tree City USA community, a town or city must meet four standards established by The Arbor Day Foundation and the National Association of State Foresters. These standards were established to ensure that every qualifying community would have a viable tree management plan and program. In 2013 Friends of Trees supported the Cockle Cove Creek Headwaters Reforestation Project with a donation of 45 large trees. The property (former site of the Pit Stop restaurant) was purchased by the Town of Chatham for open space with Community Preservation Act funds. Reforestation will create a continuous green corridor along this stretch of Main Street, while restoring wildlife habitat and protecting water quality by stabilizing soils and absorbing excess nutrients. ”For the last year and a half we have worked with Lori looking for the "right" house for us in Chatham. Lori spent endless hours showing us close to 30 homes before we found the one that we felt was right for us. We always thought we knew Chatham, having vacationed there many times over the last 40 years, but Lori educated us on so much more from not only the plusses and minuses to each area, but the laws governing wetlands, conservation land, flood plains and building codes. By the time we saw our house we knew instantly we were making the right decision because of everything we had learned from Lori. Lori was always a true professional throughout the long hunt. She never wasted our time, showing us only houses that she thought were the right fit or a good investment. She would often point out drawbacks or reasons why she didn't think we should consider a certain house if she felt legally or structurally the house was not sound. Lori's energy, positive personality and constant conscientiousness were much appreciated and admired by both my husband and myself, and Lori became a good friend as well as our valued broker. I would highly recommend Lori as a broker to anyone looking for a house in Chatham. Her knowledge, expertise, energy and personality far surpasses any broker we have worked with in the past. Thank you, Lori! "Lori was referred to us by friends who recently purchased in Chatham. They could not say enough good things about her and they were right! Lori is professional, friendly, knows the local real estate market and works non-stop until you find the right home and close. She does not disappear after the closing. She has called to see if we need any help with anything and has been a valuable resource in locating contractors. Lori is the Best!" “Lori is fantastic! I've been fortunate enough to have bought/sold a half-dozen homes in my lifetime and Lori is, hands down, the best agent I've worked with. She represented me as a buyer's broker and couldn't have been better. She's proactive, works incredibly hard, is thorough, and isn't worried about ruffling a few feathers in order to represent her client's best interest. She handles even the smallest request with gusto, always delivering more information than one would expect. I wouldn't hesitate to recommend her to a friend and will use her again if the opportunity arises. “Lori Jurkowski is really great! 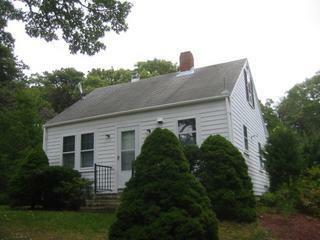 I highly recommend her for both buyers and sellers on the Cape. Lori does a beautiful job staging the house and consistently checks on it to make sure the property always looks pristine and attractive. She went above and beyond my expectations in arranging for minor updates and regular maintenance, and in drawing buyers to see the house. She's upbeat and positive and a joy to work with. Once the property was under contract, she helped ensure the sale went through smoothly and facilitated friendly negotiation between us and the buyers. - Joe and Susan B. - Mark & Jane S.
"Over a long lifetime I have purchased and sold many houses, but I have never encountered a more competent, effective and helpful real estate agent than Lori Jurkowski who handled my recent purchase of a house in Chatham, Massachusetts. When I first met her, among other things she gave me a written Kinlin Grover commitment , signed by her, which stated: “I give you my commitment to provide you with quality, customized service that meets your needs. I promise to keep in touch with you and deliver the level of service you want---and relieve the stress of buying or selling a home. You may contact me at any time for additional information or with questions or concerns. I commit to you that I will always endeavor to deliver the caring service that you deserve.” Being a natural cynic, I viewed it as so much well intentioned hype, but in fact that is exactly what she did. As it turned out the negotiation and purchase was more complicated than expected because I was living overseas, and Lori’s assistance and advice along the way to a successful conclusion was invaluable. In addition, her after-purchase follow through has been exceptional, and indeed, she has been available day or night for all my queries, large and small, making my moving in and getting settled so much easier. Most importantly, throughout the entire process I always felt she had my interests at heart. I would unreservedly recommend Lori Jurkowski to anyone contemplating buying or selling a property on Cape Cod." Pine Acres Realty has been a local summer rental leader since 1948! Maximize the ROI of your investment property by renting your home with Pine Acres Realty Rental Division. Let our incredible team exceed your expectations. List your rental home with us! 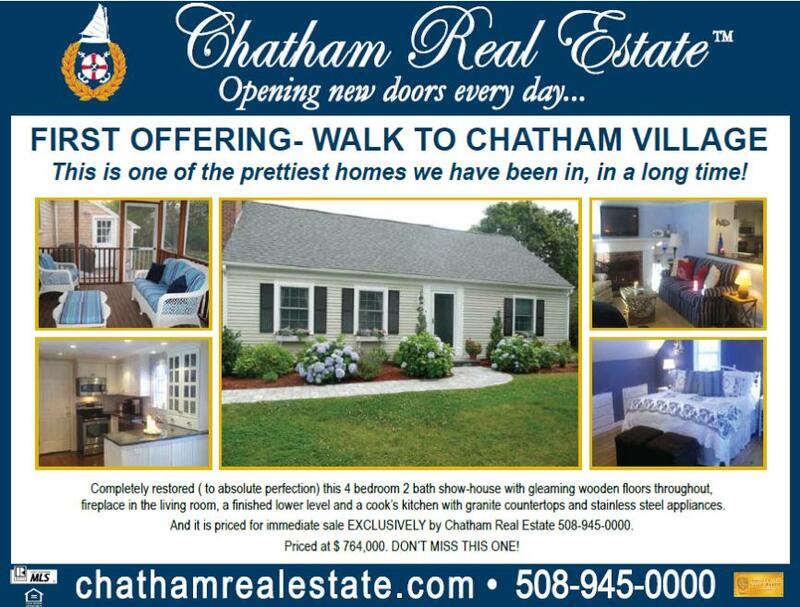 Contact our Chatham Rental Division office TODAY! We offer delivery for a small fee based on the town and we can deliver any amount of mulch. We have trucks that can hold up to 6, 12 or 25 yards per trip. Call us to schedule a delivery (508) 432-1655.Click here for delivery rates. For mulch and soil, 1 yard will cover 100 square feet (a 10'x10' area) 3" deep. We also keep records and can usually tell you how many yards you have ordered in the past. For driveway stone, 1 ton will cover about 250 square feet at 1" deep, which is a good depth for replenishing worn stone. You can also call us with your driveway dimensions (length and width in feet) and we can calculate how much product you will need. No! As long as you pre-pay or pay by credit card over the phone and leave us specific dumping instructions and a contact phone number, we can dump without anyone present. Although we do schedule deliveries within 2 hour windows for your convenience in case you would like to show the driver where to dump. Many customers find it helpful to leave a large tarp spread out in an open area (no overhead trees or wires); this makes it clear us to dump it where you'd like. Can the driver dump in multiple spots? Can he tailgate my driveway stone? Our drivers are skilled and will do their best to accomodate your wishes; sometimes we are able to dump your product in multiple locations. It really depends on the circumstaces and the driver will explain whether it is possible or not. We can not drive on any septic or irrigation lines and we can not dump under any tree limbs or wires. Once the body of the truck lifts up, it is difficult to stop it, so just note that if you want "half" the load in one spot and "half" the load in another, it will not be exactly half. But our drivers usually do an exceptional job to the best of their ability. Driveway stone can usually be "tailgate" spread for you. This is when we open the tailgate a few inches and chain it, then drive forward while the body lifts, spreading it in an even sheet. This service is included in your delivery fee and can be done in the 6 Wheel truck (our middle size delivery truck.) There can not be any over-head limbs or wires, and tailgating can not usually be done on inclines or circular drives, but the drivers will tailgate as much as they can. Tailgating can usually save you a singifcant amount of labor! This service is offered free of charge as it is not perfect and can not always be done. Loads that can not be tailgated will be dumped. A 10x12 tarp is usually just large enough for 2 yards of mulch. Please note that the driver will do their best to keep the load on the tarp, but it is not guarunteed. We pay our drivers to perform their job in a proficient manner. However, if you feel that the driver has done an outstanding job or performed above and beyond the call of duty, you are welcome to tip the driver. How much notice do you require to place an order? We can usually deliver the same day; if not, the next day! April though June is our busiest season, and the more notice that you give is the best, we can usually accomodate all deliveries in an approporiate time frame. We deliver Monday through Saturday during our normal business hours. (We are closed Saturdays Thanksgiving through March). Is the dyed mulch safe to use in my yard/around pet/around children/around ponds? Our dye supplier uses all environmentally safe materials to manufacture our colorants. They are specially formulated to be nontoxic to children, animals and plants. How many yards of mulch can my truck hold? An average pick-up truck can usually hold between 1-2 yards of mulch. What Are The Differences Between Premium And House/Enhanced Mulches? 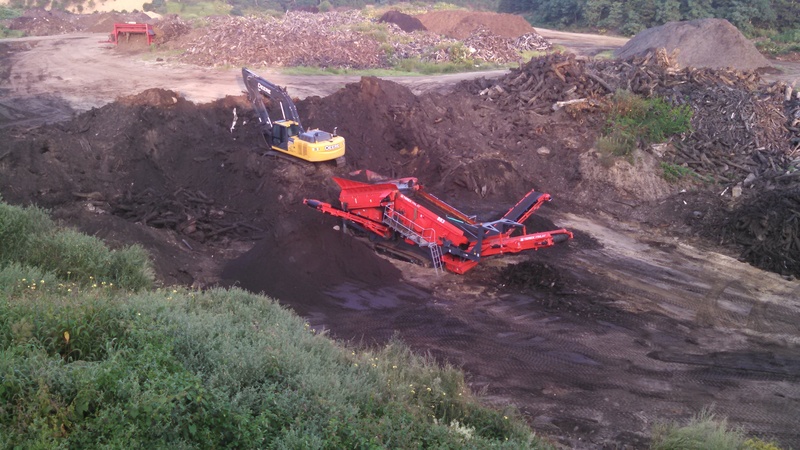 Premium mulches are a finer grind, are made of pure bark and are trucked from Maine. They will retain their color slightly longer due to their pure bark content. 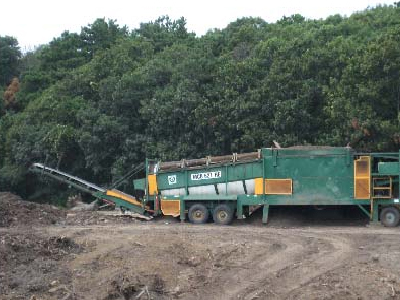 House mulches are made on site, and consist of ground and aged pine & spruce bark & wood. They are coarser in texture and have some larger pieces, and therefore do not break down as quickly. Enhanced mulches are made on site. They are made of ground, aged pine & spruce bark & wood mixed with a carbon base dye. How thick should I spread my mulch? We recommend mulch to be spread in a 3” coating to prevent weeds and provide adequate protection. Yes! We keep records of your mulch selection and quantity from previous years. Call the office to inquire. As needs increase and town budgets are more and more strapped, the mathematics of providing local care and welfare are sometimes knocked askew. When money is needed for the tweaking of a program that will make us all richer, AoC tries to be the quick fix. When a shortfall of cash leaves a vital service or a person vulnerable, we try to be the safety net. Identifying and addressing problems big and small has been our forte since 1994 and in that time, we have returned some $450,000 to the community! For 11 years, we did that by raising money through an annual art auction and raffle. Held in beautiful Chase Park, the event drew folks from all strata of Chatham, to rub elbows, lift glasses and bidding paddles and contribute to the well being of the community. The Art of Charity is also the only local charitable organization that focuses on expanding the horizons of our children by supporting participation in artistic and cultural programs and other activities initiated by our local teachers. If special teaching equipment or books are needed to expand a cultural or artistic program. If a child’s family cannot afford the cost associated with a special program or event. If a child needs support for special non-school musical or theatrical classes or to purchase musical instruments. Art of Charity Foundation is there to help. Details of our Grant programs can be found by clicking on the GRANT tab above. A place where people get together and that's just the beginning. We opened more than 9 years ago and we've been BUSY! 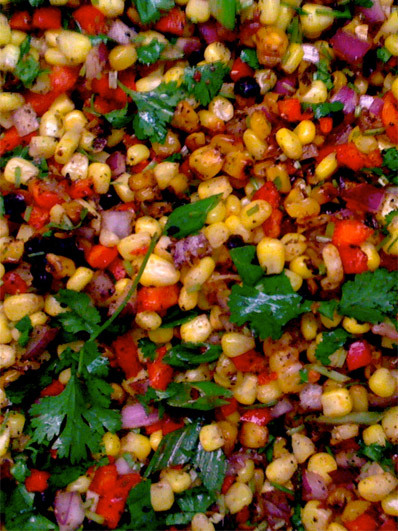 We strive to make the best Burritos, Panini, Sandwiches, Soups, Cookies and Whoopie Pies on the PLANET, while having lots of FUN. Come by...You know you're HUNGRY: 6:30 am to 6:30 pm! 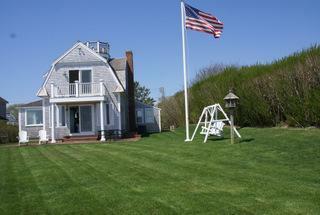 Pretty Picky Properties - Cape Cod's Select Vacation Rentals. Lazy Lobster Chatham - Discover how good it tastes to get a little lazy! We may use the information Users provide about themselves when placing an order only to provide service to that order. Credit card information Users provide to process a transaction are never stored on our hosting server and cannot be used again from stored data. Users who return to our Site to make another transaction must reenter their credit card information in order to process subsequent transactions. We do not share this information with outside parties except to the extent necessary to provide the service. The Cape Cod Baseball League has been called a “sacred national monument held in trust.” Ten teams of the best college ballplayers from across the country play five games every single night for eight weeks, a season which includes an all-star game with a home run contest and a week of playoffs. Family, friends and sports fans from around the world now have a special chance to experience an American sport, and a baseball tradition, unlike any other. With a little work, your window can be repaired or restored to full functionality for decades to come. Visit our Window Restoration gallery to see examples of our work. We'd love to hear from you! Send an inquiry or request a quote. commitment to quality service and trusting relationships. For over 20 years Lori LaBarge has specialized in luxury and waterfront real estate on Cape Cod, where she works with discerning clients who trust her knowledge of the area, evaluation of the Cape Cod real estate market, assessment of property values and ability to negotiate on their behalf with highest level of integrity and professionalism. Weiler, Walkley and Associates, Inc. has been making smiles brighter since 1986. We pride ourselves on outstanding service and impeccable attention to detail. No matter what your dental needs, we are at your service. We always remain focused on customer satisfaction by way of our competent and professional staff.